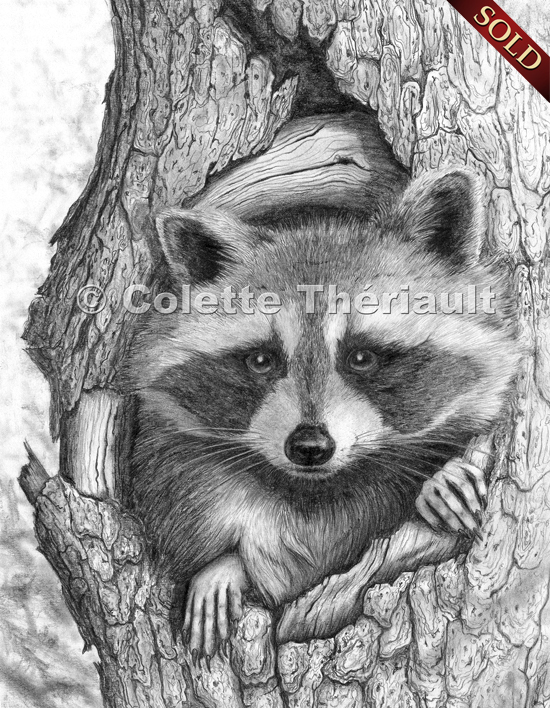 This original detailed pencil drawing is sold. Artist quality prints are available for purchase. 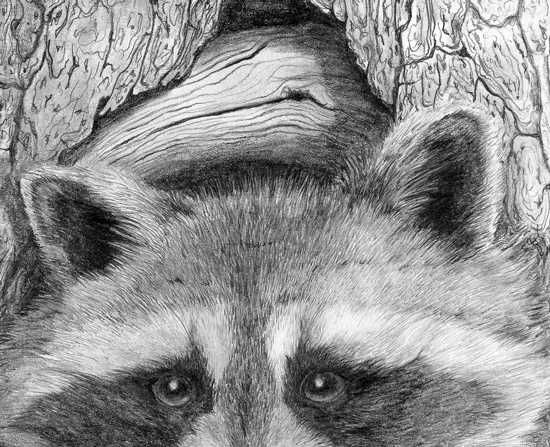 The well known "masked bandit" or raccoon (Procyon lotor) of North America is a very intelligent and adaptable animal. Found commonly in urban areas, it uses its forepaws and its great manual dexterity to open latches, untie knots, turn doorknobs, and open jars and garbage cans to get at anything edible. Although some raccoons can live to over 15 years of age, many have their lifespan shorten by falling prey to mountain lions, bobcats, gray wolves, red foxes, coyotes, fishers, owls or by being trapped/killed by humans.